Well this is comic number 300! You can see how narrowly I avoided simply not doing any comics until I had a worthy idea, and I didn't even have to write another number out of existence this time. Because of this I declare it the Best Milestone Ever. 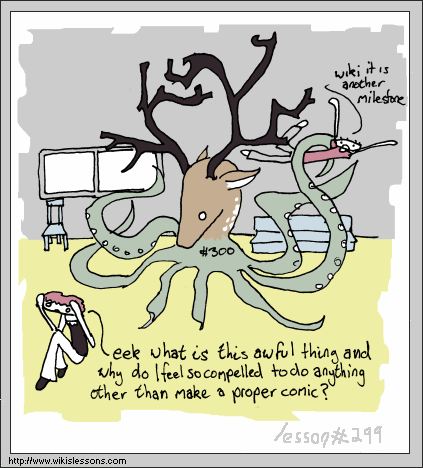 Also, this is not the first Deer Octopus (or "Doctorpus") that has appeared in a comic.